Hailed as Periya Jeeyar, Mamunigal who established our Thennacharya Sampradhayam believed and practised the tenet of following the words of early Acharyars as they are [munnor mozhintha murai thappamal kettu]. 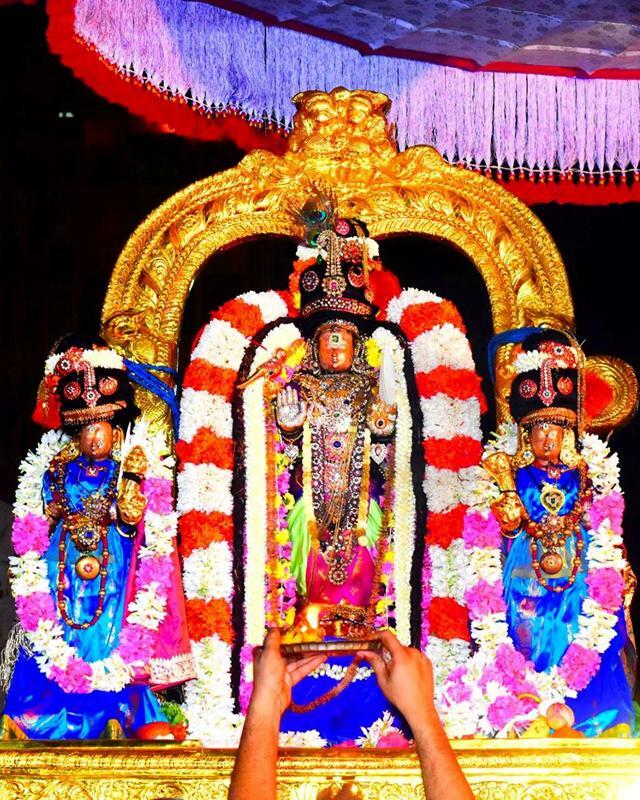 At Thiruvallikkeni and other divyadesams, 10 day Thiruvavathara Uthsavam of our Acharyar is being celebrated grandly and today 21st Oct 2017 is day 6. 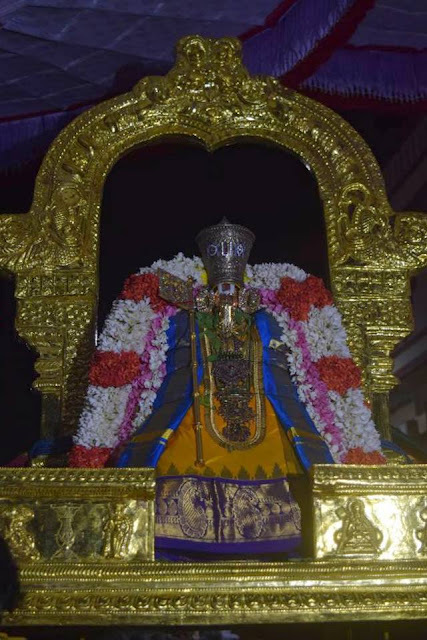 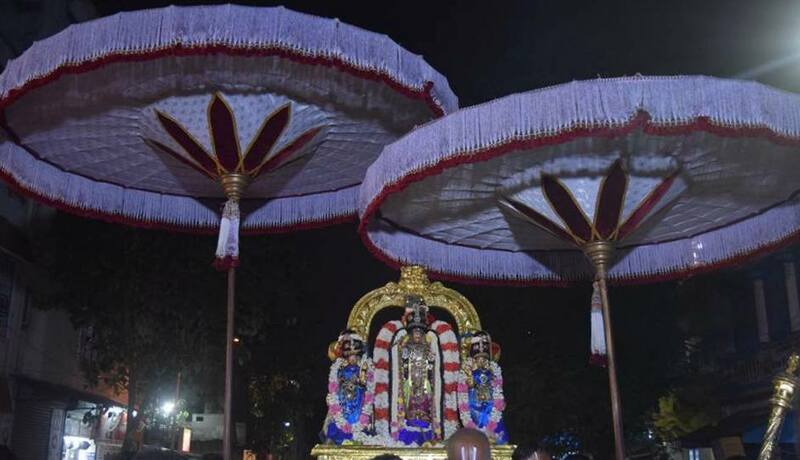 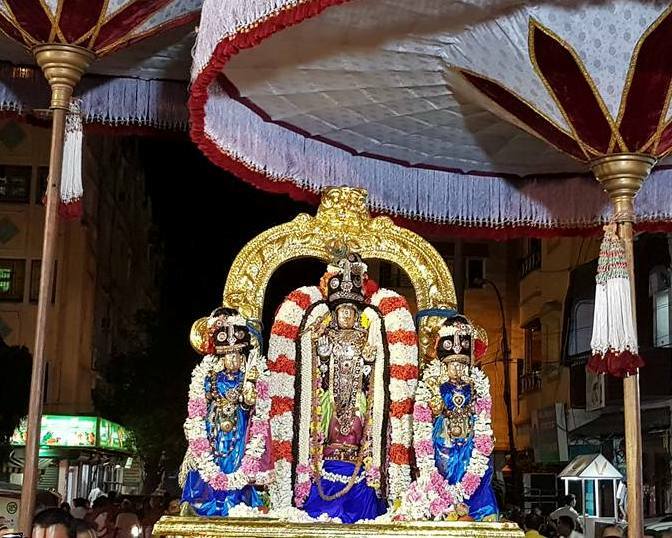 Inside in the evening it was Thirumozhi thodakkam and 2 decads of Kaliyan’s Thirumozhi with the highlight of sthalapasuram ‘Virperu vizhagum’ was recited. 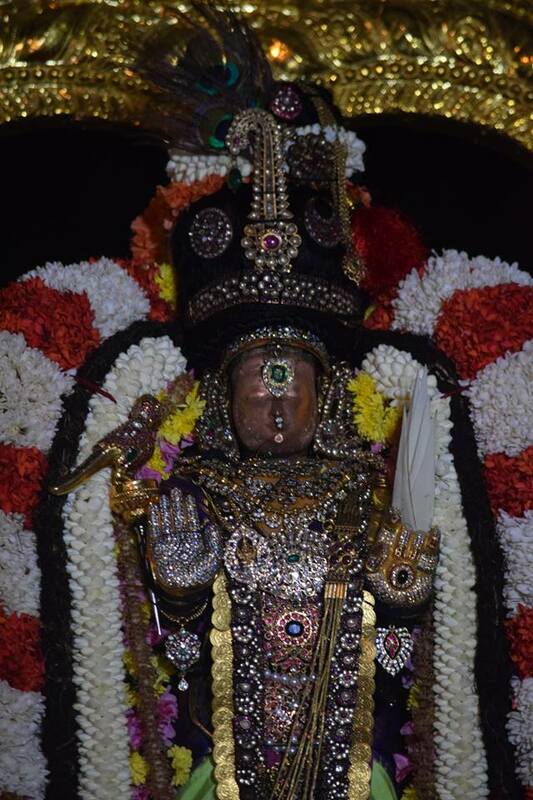 pic credit : Sri Narasimhan Sampathkumar.